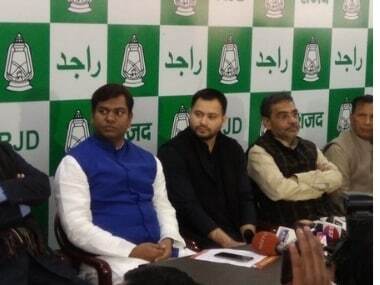 The delay and differences in reaching out an agreement over seat-sharing among the partners of the ‘grand alliance’ in Bihar have considerably diminished the prospects of former Jawaharlal Nehru University Student Union (JNUSU) president Kanhaiya Kumar in the upcoming Lok Sabha election. 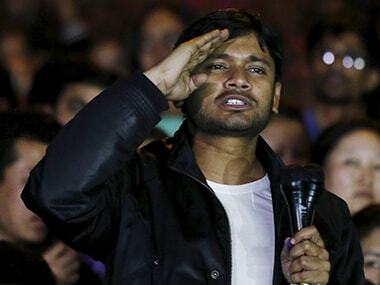 Kumar, who shot to fame following his arrest in February 2016 for allegedly raising anti-national slogan at JNU campus, was hoping to be fielded as a ‘grand alliance’ candidate on Communist Party of India (CPI) ticket, which along with Rashtriya Lok Samata Party, Vikassheel Insaan Party, Hindustani Awam Party and Loktantrik Party is part of the ‘grand alliance’. 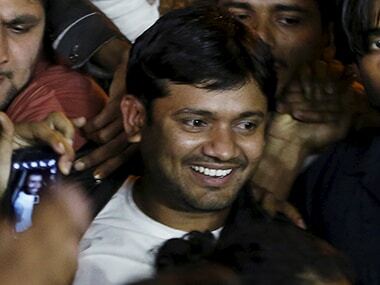 File image of Kanhaiya Kumar. Reuters. While the deadlock over the number of seats is likely to be resolved and the final announcement regarding the seat-sharing arrangement might be made today, what is amply clear is that Kumar will not be fielded as the alliance candidate which would have considerably strengthen his prospects of winning the seat from Begusarai, which is referred as Bihar’s Leningrad, where the Left has a stronghold in certain Assembly segments since the 1960s and is and also Kumar's hometown. While Kumar is all set to foray into electoral politics with CPI making it clear that it will “with or without the support of the grand alliance” field the former JNUSU president from Begusarai, the equation would be completely different if he would get the support of RJD and Congress, the most important alliance partners. The fact that Kumar has been denied the support of the ‘grand alliance’ shall benefit Union Minister and incumbent Nawada MP Giriraj Singh, who has been asked to contest from Begusarai this time. 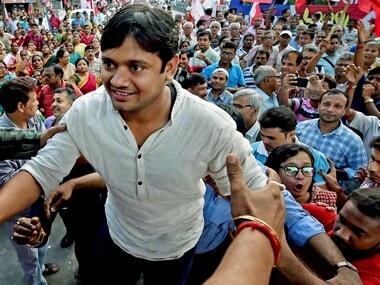 Kumar contesting as ‘grand alliance’ candidate would have posed a serious challenge to Singh. 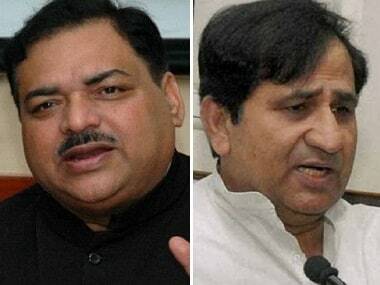 The reason for Kumar’s loss is the veto made by RJD leader Tejashwi Yadav who wants Tanveer Hasan, who lost marginally from Begusarai in the 2014 Lok Sabha polls, to be fielded as the ‘grand alliance’ candidate and was reportedly upset over CPI’s insistence on fielding the former JNUSU president from Begusarai. Hasan, who is close to Yadav family and a loyalist for years, is also popular in Begusarai. He holds a good image among the people, thus increasing the prospects of his winnability. However, the Left has its own reasons to back Kumar. Begusarai is Kumar’s home constituency and he belongs to the Bhumihar, an upper caste, that has a sizeable presence of over three lakhs in this constituency. Kumar, who was accused of sedition and jailed for 20 days in March 2016, had become an instant ‘national hero’ after his release and was lauded for his oratory skills. CPI is relying on these factors in fielding Kumar and in assessing his winnability. However, there are fractions in the Left, working at the ground level, who are not happy with Kumar’s candidature as they see him as an ‘outsider’ who has been parachuted from the top and has no ground experience. While uncertainty prevails over Kumar’s electoral career, another JNU student leader Shehla Rashid, a former JNUSU vice president, recently made her foray into active politics by joining the Jammu and Kashmir Peoples' Movement, launched by former IAS officer Shah Faesal. Rashid led the protest movement after Kumar’s arrest in 2016 and is a staunch critic of the Narendra Modi government. Both Kumar and Rashid, on multiple occasions have denied intentions to join electoral politics and instead focus on their academics. But, as the Lok Sabha election approached both the student leaders made intelligent calculations to opt for the best political party that suits their interests. Kumar chose CPI, which is close to the student organisation All India Students Federation (AISF) on whose ticket he had won the JNUSU election in 2015, becoming first AISF cadre to win the post. On the other hand, Rashid who was member of All India Students Association (AISA), the student wing of the Communist Party of India (Marxist–Leninist) Liberation choose to join Faesal’s party that is been anticipated to emerge as a major player in the politics of Jammu and Kashmir in the coming years. In 2016, Kumar shot to fame because he had the support of all Left parties in JNU, in spite of the fact that some of them were vowed adversaries. It was an "attack on the campus" sort of narrative that led to this wider consensus. But, far from the idealism of campus activism, the terrain of electoral politics are usually so uneven that forging a consensus for support is not easy and often shoots surprises. Kumar understands this, hence he has refrained from making any comments that can hamper his political prospects. Kumar's political prospects significantly depend upon the fact whether or not he will finally succeed in winning the support of the 'grand alliance' as over the years the support base of CPI has eroded considerably and winning alone on CPI ticket will be tough for Kumar. Whether or not Kumar will get the support of the 'grand alliance' will be made clear today. Whatever the result may be the fact remains is that Kumar has made his choices like an astute politician by seeking to contest under the patronage of an alliance that has arithmetic on its side.